It’s a difficult concept to imagine and a problem that’s leading to a national catastrophe. In an era where dating is at your fingertips, one part of the world is losing interest in conventional relationships altogether. For a country with more than 127 million people, very few are choosing to go on a date, or even get intimate with another person. In fact, the national “turn off” is growing so rapidly, that almost half of those under 40 in Japan are still virgins. I don’t think we should be dismissive of the implications of life in such a society. What are the implications of shrinking space? 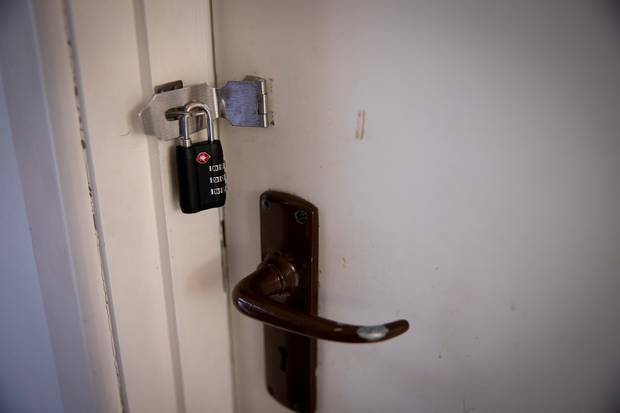 An Auckland landlady thought her nightmare ended when she managed to evict a “tenant from hell” from her $2 million St Heliers rental property. Instead, it got worse after occupants who the tenant had sublet the house to refused to move. The illegal tenants remain in her property and the desperate home owner is at a loss about what she can do. Nina Zhao, 34, said her family bought the four-bedroom house as a rental property two years ago because they thought it would give them an “easy income”. They found a tenant after advertising the rental on local Chinese website Skykiwi. Over two years, Zhao did not make any property inspections because she didn’t think it was necessary. In June, Zhao informed the tenant that she wanted to move into the house – and went there to make a property inspection. Shows the need for landlords to do monthly inspections. Cross negligence (no inspections) on the part of this landlord made even worse by running to the media. Bad tenants are bad for good tenants. need a system like trademe where you get feed backs. Tianwei.com is New Zealand’s largest Chinese portal. We provide you with the latest New Zealand and international news every day. There are 250,000 registered members in the community forum to discuss, share and solve problems with you. The New Zealand navigation channel finds out for you. Well, exactly. If the enclaves get large enough some immigrants don’t need to assimilate. How the ***** did New Zealanders benefit from that influx? Lock manufacturers and/or retailers might be doing ok? Gummint money is the main objective of the overpaid ,underperforming legal,accounting,PR and ‘expert advisor’ magic shows. You can’t draw conclusions until you have controls (i.e compared to what?) I switched to a couple of frequencies and got turned off by the rapid back and forth and trivia (not to mention advert -advert- advert). NewstalkZB’s pretty interesting at times – if you get bored with good old RNZ.